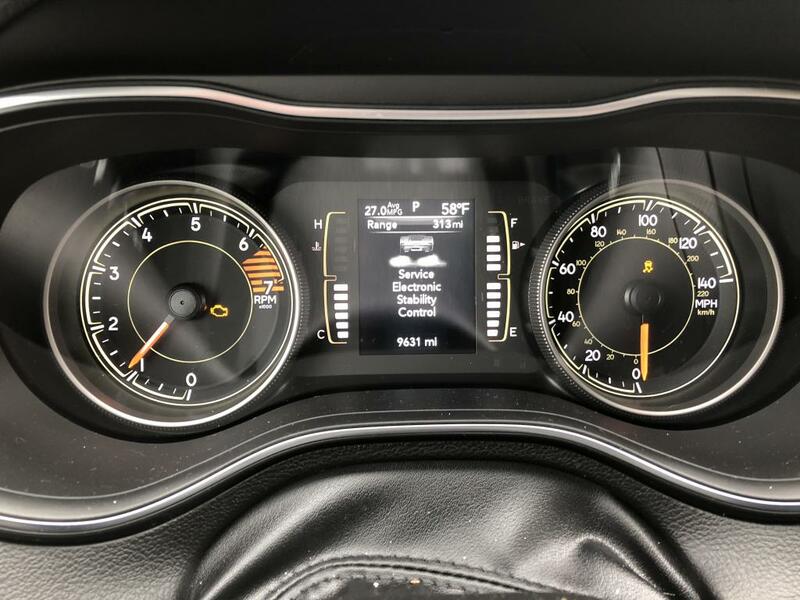 While driving all the sudden the check engine light came on, traction control was turned off and the message “service electronic stability control” displayed on the dash along with another message “service 4wd”. Luckily I was just coming to a stop at a stop light but when I went to take off the Cherokee barely wanted to go. I was able to get it up to 10mph and make it into a parking lot where I then turned the Cherokee off and back on which made the messages disappear but the check engine light remained on. I can only imagine what could have happened had this happened on an expressway while going at higher speeds in high traffic.